The last few days at NYCC 2014 saw a flurry of new series named, and I mean flurry. From Silk to Fables: Wolf Among Us, there's barely a rock left unturned. Unable to feature them all (partly because some would be cancelled before I hit 'post') here are the five that stand out most and a few words to say why. Let's just pause to marvel at another awesome Mark Brooks cover. Right, moving on, with an Ant-Man movie in the works, this is a bit of a no-brainer. Hopefully Nick goes down the road Ed Brubaker walked with Ant-Man Scott Lang in Secret Avengers, by having Cap challenge him to make more of himself than a either a deadbeat dad or a criminal has been. Fighting to rise to this challenge would be the only way Scott could 'out cool' original Ant-Man and James Bond of the Marvel U, Hank Pym for a solo series. The last Hawkeye series pretty much won every award not nailed down, some even twice. That said, as a die-hard fan of the old Avengers West Coast, it seemed just a little too far removed from 'super-hero' for me to see it as 'my Clint Barton'. That said, Hawkeye is one of the best character's in the Marvel U, and one of it's most defined personalities. Watching Jeff debut at Marvel, so soon after handling DC's hit-archer Green Arrow, will hopefully see the success continue, with a bit more Terminus kind of villains thrown in too. Sorry Drax, you win the 'Last person in Guardians of the Galaxy not to get your own series'. Gamora will be written by the woman who first picked Guardians out as a property for Marvel to develop for the big screen, and wrote the script that persuaded Marvel to give it the big tick. Given how awesome that film is, the records it crashed all over the world, and what it did for Groot alone, I'd say this series is definitely one to watch. 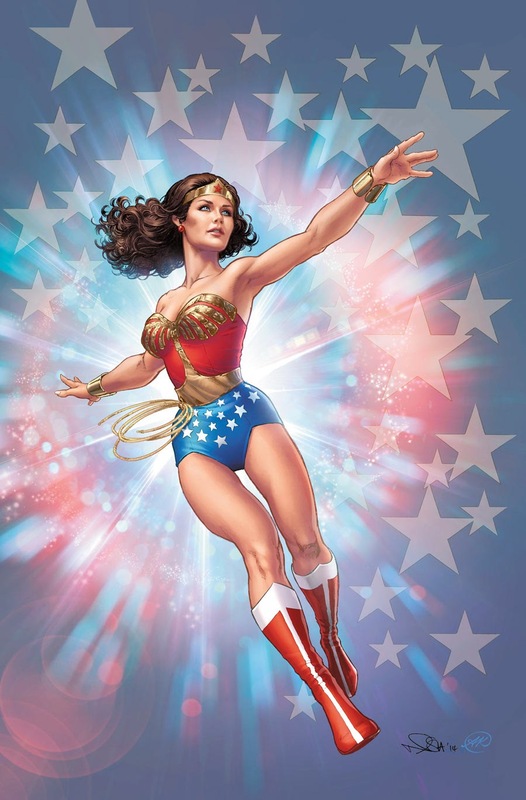 Some people just don't see Wonder Woman beyond the legendary efforts of actress Lynda Carter, in the now-iconic TV series. There's nothing wrong with that in the slightest, Lynda is flippin' amazing, and DC is recognising exactly that by creating this six-part weekly digital comic launching in December, with print editions to follow. After all these years, you're now a digital wonder, Wonder Woman. As a massive MK fan who has never felt any game has reached the standard set by MKII (even with all the modern tricks and wizardry) this is the one announcement from Comic Con that made me most jump up and down and scream like a banshee. Yes, on the inside, and yes, just as much as Secret Wars 2015. 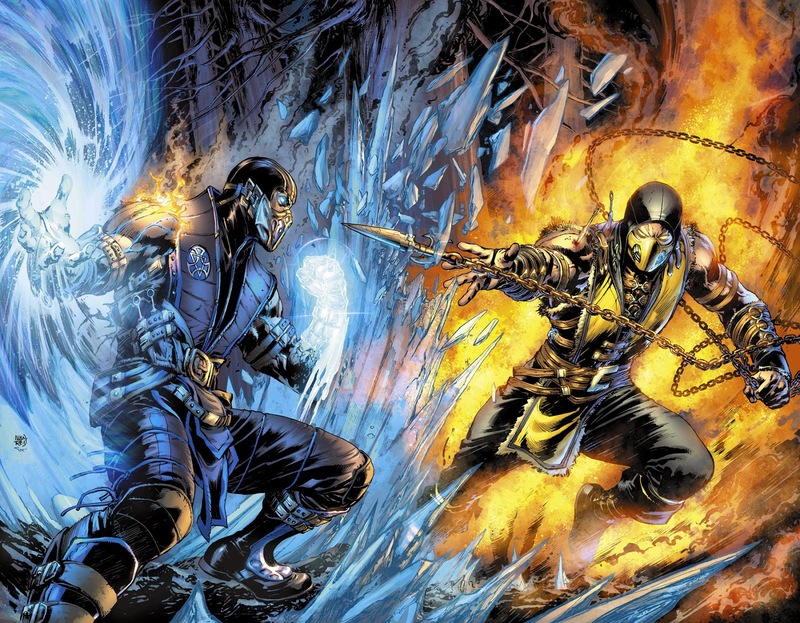 Taking place 25 years after 2011's Mortal Kombat relaunch continuity wise, this prequel to the upcoming game of the same name will also feature covers by superstar Ivan Reis - well, like those shown above. Thought you might say both of those comments Karl, good to know some things don't change!